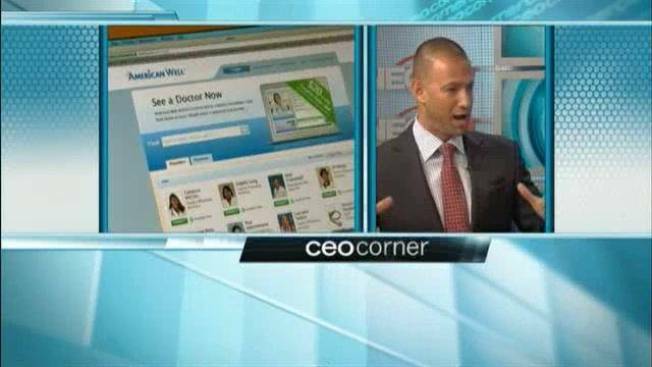 CEO Corner: Will Online Health Care Catch on? In the world of American Well, the doctor is always in - any time, day or night. But your appointment will be on line. Is this the way medicine is headed? Is the traditional medical establishment buying in to this field of telehealth? Where is it helpful and what are its limits? Is online treatment a wise cost-saver or a dangerous precedent that tugs at the core of the doctor patient relationship? Roy Schoenberg is the co-founder, president and CEO at American Well. He explains what he says it will take for telehealth to catch on nationwide. Plus, he explains how Massachusetts General Hospital, one of the top hospitals in the world, is incorporating American Well into its patient care.